There is no bigger threat to white supremacy than the notion that Jesus of Nazareth was a black man. White supremacy can’t exist in a world where the savior of all mankind is the same hue as the people they’ve enslaved, murdered, beat, raped, and oppressed for 400 years. The very thought of bowing and worshiping a black man, Messiah or not, is anathema to Eurocentric Christianity… but how far would they go to keep the world from acknowledging the truth about the greatest event in the history of mankind? There are several things in the Bible that never made sense to me from a basic reading of scripture. The unwillingness of the world to repent and turn to God, even after all of the destruction laid out in the book of Revelation, seems defiant beyond comprehension. But the more time I spent associating with white conservative Christians, the more I realized that race is more of an issue than they would like us to believe. As soon I started looking into the historical, cultural, and racial origins of the Hebrews, the hatred began to manifest. I’ve received multiple messages telling me not to go down this path of research. I’ve receive d multiple messages claiming that God would never choose black people as his nation. I’ve been accused of being a racist who only says Jesus is black so I can “feel special”. 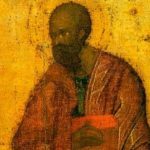 This site was originally started specifically to share my research into the lineage of Ham and any other information I discovered about the presence of black people in the Bible. 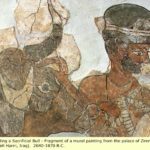 It wasn’t until my research into the line of Ham began crossing into the line of Shem that I started to look closer at the claims that Hebrews were black. It took me a few months of study before I took an official stance on the ethnicity of true Israel being black, and even longer before I accepted that they were enslaved here in America. From 2016 – present many people have asked, “what difference does it make?” That’s a valid question that many people have, and while it shouldn’t make a difference, it definitely does. After giving that question a lot of thought, I’ve come to the conclusion that it will matter more than we may know in the not too distant future. Europeans seem to believe that they can steal other people’s culture whenever they want. Europeans seem to think nobody should call out their theft as exactly what it is. Europeans seem to think we care about any excuses they make after they’ve proven themselves to liars, thieves, murderers, rapists, etc… and I assume some of them are good people. Their most common reaction to all of the above is, “why does it matter if we stole your history and repainted it white?” Yep… This is the world we live in. But let’s not put the cart in front of the horse. While many of us are convinced of a black Israel and black Christ, there are many that aren’t, so let’s start with our kinsman redeemer. People would rather believe made up fairy tales about the ethnicity and race of Christ than to seek out what the word of God says. Christ was a human man in every sense of the word (addressing his humanity not his deity). All people alive and dead can relate to him in some way, but black people in America seem to have the most in common with him, now more than ever before. He was born under oppressive conditions brought on by a European (Roman) controlled government (John 11:47-48). He was falsely accused of a crime he didn’t commit and was illegally arrested based on false testimony (Luke 23:14). He faced a rigged jury that had already condemned him to the world, similar to what Conservative media outlets do to black victims of police brutality in America (Luke 23:17-21). He was beaten by the Roman “police” for no other reason than they wanted to beat him, and not a single one of those officers was convicted for breaking the law (John 19:1-4). He challenged the European controlled oppressive government and was publicly executed just like MLK, Malcom X, and many others after him (John 19:12). He was snatched up in the middle of the night just like Emmett Till by a mob of men for the purpose of delivering street justice (John 18:1-13). He was lynched and hung on a tree like many black slaves and innocent free black people were all throughout the history of America (Galatians 3:13). If the point of coming as a black man was to understand our plight, then I’m thoroughly convinced that he can relate to what’s happening to black people today worldwide, because he lived it. All of the above circumstantial observations aren’t “proof” that he a black man, but what if we could prove it beyond a shadow that a black man is exactly what he was? One of the biggest arguments against this subject is that the Bible doesn’t describe Christ, the Hebrews, or reference skin color. None of these statements have any truth to them at all. We’re going to break down the internal (Biblical) and external (Historical) evidence that Jesus was indeed a black man that died for the salvation of mankind. It is this evidence, and possibly more to come, that I believe will ultimately lead to the final battle between a world based around white supremacy and their unwillingness to submit to the black messiah. We’ll come right back to these verses. We’ll come right back to these verses as well. Now let’s look at these verses side by side and I’ll bold the sections that each description has in common with the other one. Then we’ll dig into the Hebrew and Greek words and their meanings. There are too many similarities in their descriptions for it to be coincidence. The only possible explanations are that John actually saw the same “man” that Daniel saw or John just ripped off Daniel outright. Daniel and John mention a “man”. Daniel and John mention the golden girdle. Daniel and John describe his eyes as fire. Daniel and John describe his voice in a similar manner. 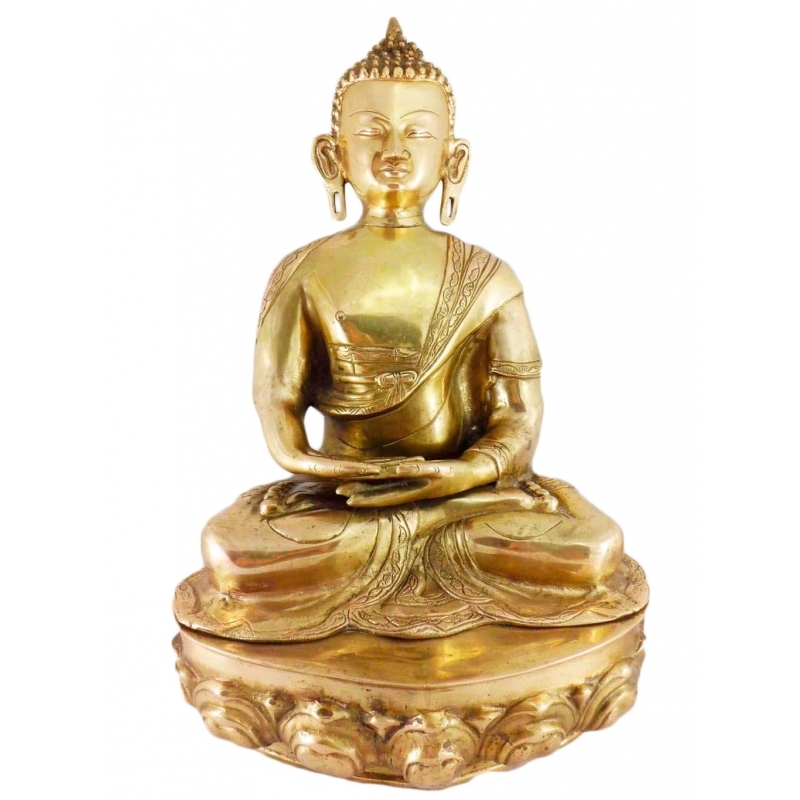 There is a huge difference between bronze and brass. Here are a couple of pictures to give you a visual idea of just how huge the difference is. Now that we’re clear on the differences in color between bronze (brown) and brass (yellowish), it’s time to check out the Hebrew and Greek words to see which ones the actual witnesses are comparing his skin color to. 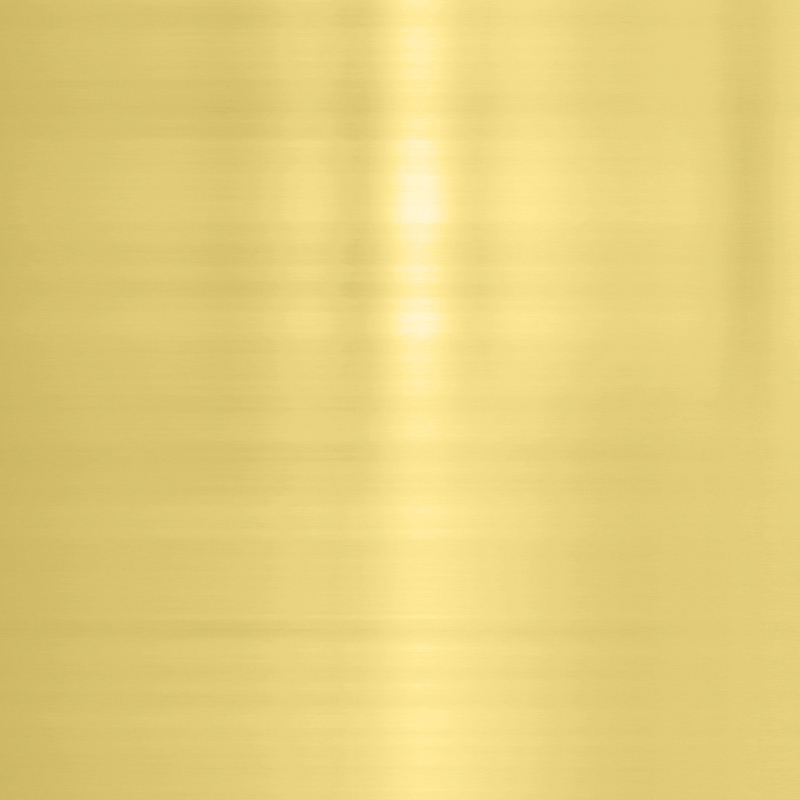 There are people that have bronze colored skin. There are ZERO people with brass colored skin. Until we see a brass colored person walking around in real life, it’s hard to understand why many people refuse to acknowledge what the Bible is telling us. 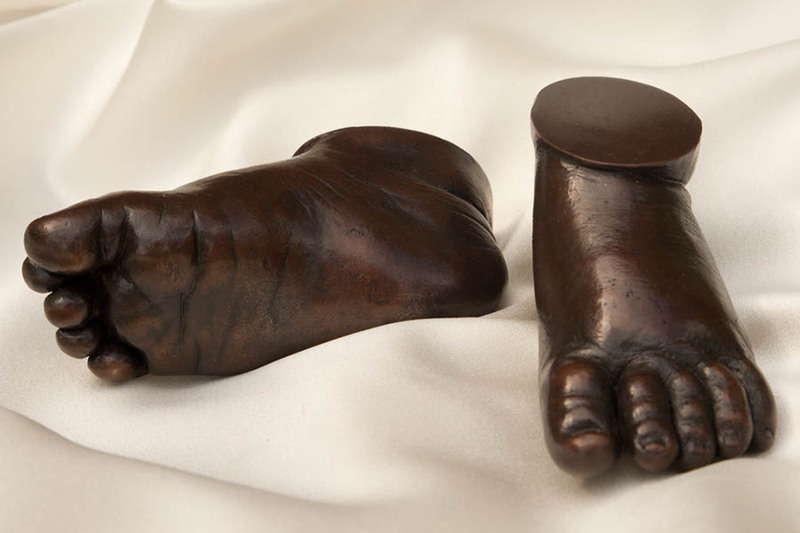 Here is a picture of actual bronze feet. 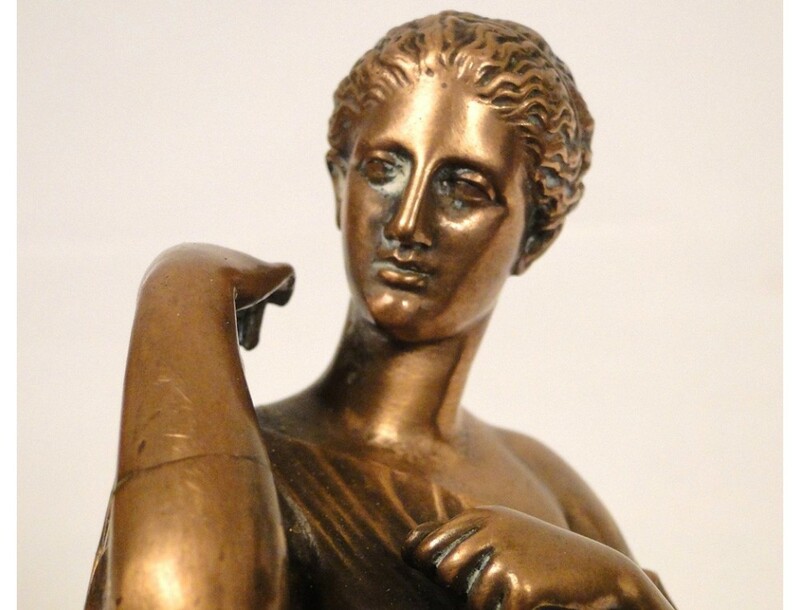 Just by looking at them we can tell that bronze is the same color as many of the humans living on this planet. British-Israelism has no choice but to deny the above and their black supporters that teach Christianity is the white man’s religion, don’t study enough to even know to look into it. If ignorance is bliss, then these two groups are definitely rolling in it… and it is this ignorance that tends to lead to the following argument. Christ didn’t suddenly die and come back to life as a bronze skinned man after the resurrection. He hadn’t yet been crucified when Daniel saw him, which means he was bronze skinned long before Revelation. 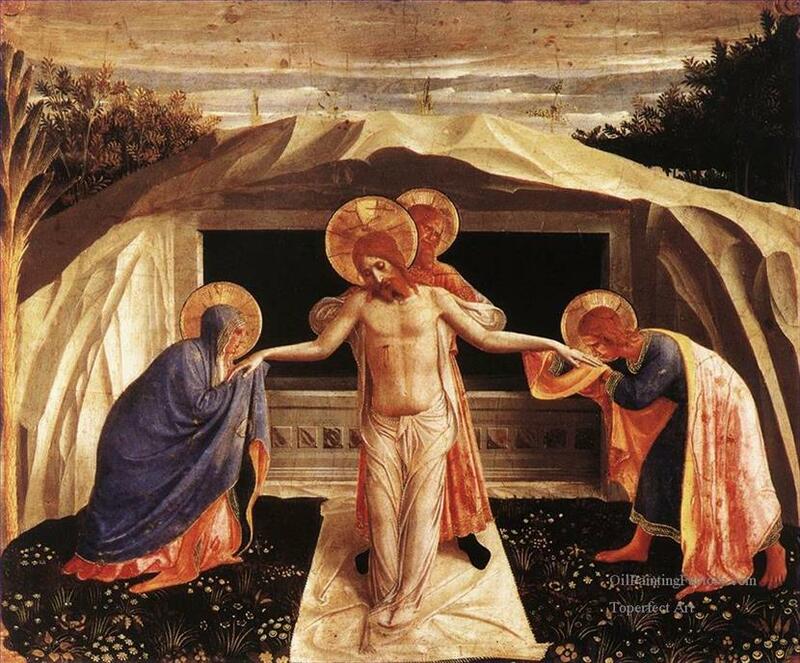 Christ chose to appear with bronze skin even prior to his birth, death, and resurrection. There is a very high ranked bronze skinned angel in heaven that looks similar to post resurrection Christ. In the entire history of humanity, no person has ever been able to decide what race they’d be born as, except Christ. He was able to choose his lineage, family, mother, skin color, and more. Every single one of his choices was a conscious decision that led to him walking this planet as a black man for thirty-ish years. 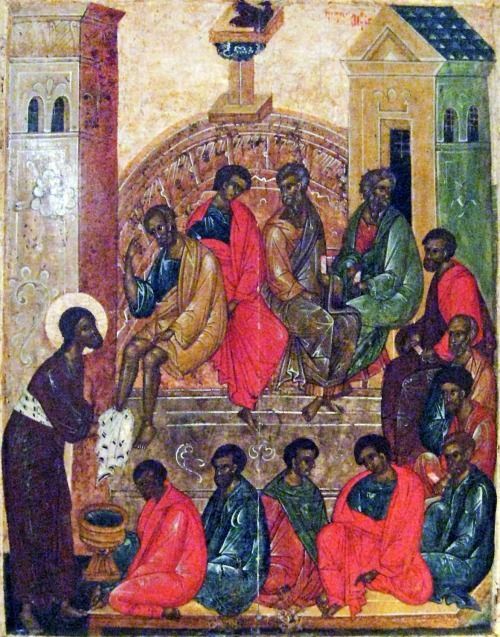 Christ was the FIRST unapologetically black man to ever exist. Perhaps some of the biggest evidence comes in the form of genealogy. Just so we don’t get side tracked, I’m going to summarize these connections. 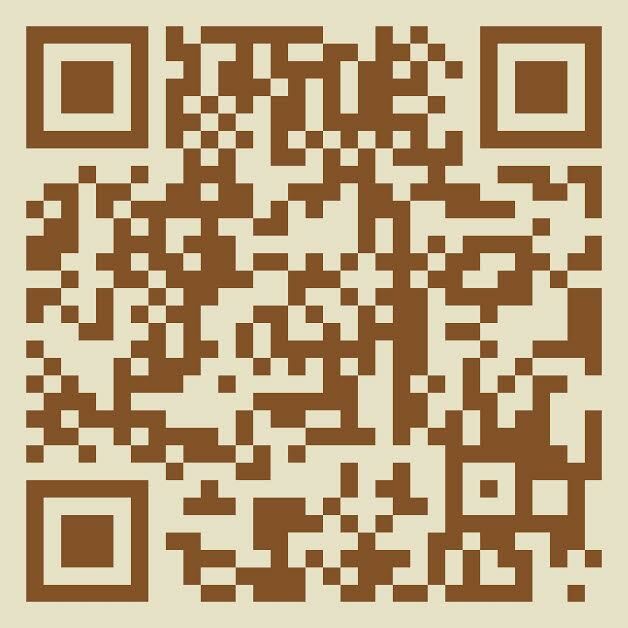 Feel free to click any of the links on this page for a more in depth study on each person, place, etc. Judah – had five kids with two different Canaanite women. Solomon – had a fling with the Queen of Sheba (Cushites). *Bathsheba was from the Canaanite tribe called the Gilonites. They are named as one of the tribes conquered by Moses and Joshua in Canaan. The Hittites were also known as “the sons of Heth”. Heth was a descendant of Canaan as well. One of the most ironic things about this subject is that Eurocentric Christianity will readily attribute black Africans and Black Arabs to the lineage of Ham, but at the same time ignore the fact that mixing with the lineage of Ham would result in mixed black offspring. In order to really understand how embedded Hamite DNA is into the Hebrew line, we need to look at their interactions in Africa. Please don’t message me with the unenlightened and unoriginal comment that the word “Africa” didn’t exist back then. If you know the location I’m referring to then it doesn’t matter whether or not that was the word they used to describe the location. Now that I got that out of the way, let’s talk about the Hebrews and their relationship with Africa. Journey #1: Abraham and Sarah went to Africa and Abraham gave pharaoh his wife. Journey #2: Joseph lived in Africa for most of his life. Journey #3: Jacob moved his entire family to Africa. Journey #4: Hebrews spent over 400 years living in Africa. Journey #5: Israel is located on the border of Egypt. Israel always defaulted to Africa during times of famine and war. If the Bible was a Eurocentric book, it would be reasonable to assume that they’d run to Europe to escape persecution at least once, but they don’t. Even though African locations are named over and over again, Eurocentric Christianity will not acknowledge or accept that these were black people… IN AFRICA!!! East: The people get lighter the further you go into Asia and Europe. West: The people get darker as you head into Africa. In order to really understand why the above is so important, we need to also look at the map below. Israel shares a border with Africa. In fact, the term “Middle East” wasn’t even widely used until the mid 1800s. Before that it was known as North Eastern Africa or Arabia. Israel is that red sliver on the map. While I don’t pretend to know the mind of God, I feel confident in saying that God wouldn’t tell a white family to take a white baby and go hide among black people in Africa. That would only make them more obvious and easier to find. You don’t hide a needle in a haystack… you hide a needle in a stack of needles to make it virtually impossible to find. It’s the small details throughout the Bible that add up to one large truth. So which scenario more likely? God hid a white skinned baby among bronze skinned people. God hid a brass skinned baby among bronze skinned people. God hid a bronze skinned baby among bronze skinned people. The choice is obvious, but most of all it’s consistent with all of scripture. The thing I love about the Bible is that the more I study it, the more I find that it has a beautiful and intricate consistency. It’s subtle and yet still completely obvious the longer you study. So let’s look at quite a few consistencies concerning ethnicity. Abraham’s Journey: He was called out of the Cushite (descendants of Ham) empire of Babel, lived among the Canaanites (descendants of Ham), lived among the Egyptians and had a child by his Egyptian concubine (Hagar), and bought land from the sons of Heth (descendants of Ham). Joseph: Lived among Egyptians (descendants of Ham) and married an Egyptian woman. His sons Ephraim and Manasseh (tribes of Israel) were half African, and Jacob gave them the birthright. It’s also important to note that Joseph’s brothers didn’t recognize any difference between him and the Egyptians when they finally found him. The 12 Sons of Jacob: Jacob had 12 sons and 1 daughter, and they all lived among Canaanites (descendants of Ham). Judah: Lived in Canaan and had 5 sons by 2 different Canaanite (descendants of Ham) women. His half Canaanite son Pharez is the one through whom David would eventually be born. The First 70 Hebrews: During the famine, the entire family was reunited with Joseph, which prompts a move into Egypt (Africa). The remained in Africa marrying and having kids, which means they would’ve had to find wives among the people where they lived… in Africa (descendants of Ham). The Death of Jacob: Upon the death of Jacob, the Hebrews traveled into Canaan to bury Jacob in he cave he bought from the Hittites (sons of Heth). The Canaanites saw the group and wrongfully mistook them for Egyptians. Moses: He was found by an African woman, adopted by an African woman, raised as the son of an African woman, trained in African wisdom, and was mistaken for an African when he helped the Midianite girls. 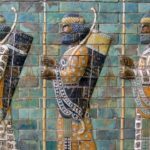 The Exodus: After leaving Africa, we find several interesting stories that appear in Moses’ writings. There’s a story of a Hebrew woman married to an Egyptian man. There’s also a story of Moses marrying an Ethiopian (Cushite descendant of Ham) woman, and God turning Miriam white for having a problem with it. Joseph, Mary, and Christ: All sent to hide in Africa for at least 4 years until the death of Herod, which means that Christ spent part of his childhood growing up with African children. His parents were probably friends with lots of Africans as well (assumption). Paul: After being arrested Paul was mistaken for an Egyptian that murdered a bunch of people. Tacitus the Roman historian also describes all of the Hebrews during Paul’s time as possibly being descendants of Egyptians or Ethiopians. Nobody has ever mistook a European for an Egyptian or an Ethiopian. Notice that not once does the Bible mention the Hebrew descendants of Shem mixing with the Gentile (European) descendants of Japheth… because it never happens in scripture. The Bible is consistent in it’s description of the Hebrews as resembling people from the line of Ham. The Bible is consistent about the Hebrews’ constant presence in Africa (the land of Ham). The Hebrews in the Bible consistently mixed with descendants of Ham and the children became part of the nation of Israel. The Bible is completely consistent in it’s description of Hebrews, descriptions of Christ, and Hebrew interaction with the descendants of Ham. Eurocentric Christianity often seeks to avoid or explain away verses like these in order to push their agenda, make themselves feel better, or whatever other excuses they come up with in order to justify embracing a false belief system founded on lies. How many white conservative Christians would bow and worship a black man? How many would rather justify going to war with the black Messiah by claiming he’s the devil? When Christ is revealed and he turns out to be black, it’ll set the world on fire (literally and figuratively). Some will repent and remain believers, but many white Christians will walk away from the faith, but there will also be many that will turn their anger toward God’s people. The revelation of a black Messiah is the ultimate blow to white supremacy and will not be tolerated. In my opinion, I believe that is what may be the driving force behind the event in Psalms. I want to take this opportunity to go on a very important momentary detour. It’s Divisive: If TRUTH is divisive it is only divisive to people that want to be divided simply because Christ is black… but even more to the point, Christ came to “cause division” (Luke 12:51). His words not mine. It’s Racist: Pointing out the factual ethnicity of the Messiah does not equate to racism, but lying and depicting him falsely as a white man is the very definition of racism. It’s an attempt to strip his personally chosen heritage and insert their own onto the creator. Salvation Isn’t Based On Color: All I’m saying is that he’s black. Seeing the word “black” associated with Christ suddenly makes a lot of white Christians feel excluded… but ironically they believe a white Christ is somehow all inclusive. I understand that salvation isn’t based on color, nor do I teach that it is. His Race Doesn’t Matter: Anyone saying this is lying. We know they’re lying because they don’t stop and say that when they see a picture of white Christ. If there is even a discussion about him being black they want to let everyone know they they’re against it and don’t want to know the truth, nor do they want others to teach the truth. All truth matters… if it’s not OK to call Christ a white female lesbian because his gender and sexual orientation are important, then it’s not OK to depict him as a white man when we know he was not. He Was Brown Not Black: They only say this because they don’t want Christ to be black. They certainly won’t make that statement when white people post pictures of white Jesus, but they are very vocal about it during any discussion concerning Christ being black. They will accept a huge white lie over a little bit of black truth any day of the week (I keep saying it because it’s important). Many Christ followers are under the false impression that the King James version of the Bible is “the Bible”, no other versions are reliable, and any book not appearing in canon AFTER 1611 isn’t scripture. It’s a ridiculous and unfounded argument, but I have a suspicion that there may be Eurocentric reasons behind the removal of the two books I’m going to mention, and likely more books than that. This entire section of text destroys any notion that the first humans were white. The white skin came as a complete shock to Lamech, which causes him to point out that Noah’s white skin didn’t look like any other HUMAN on the planet. In fact, Lamech specifically said “he is not human” and resembled the “offspring of the angels of heaven”. Europeans will not tolerate a book in the Bible that says the offspring of evil angels were white. Europeans will not tolerate a book in the Bible that says no humans on earth before the flood were white. Europeans will not tolerate any belief or religion that does not prop them up as the master race. According to John, the Word (Christ) created all things. If that is true and God made man in his image (Genesis 1:26), and the book of Enoch testifies that white skin was an anomaly… the only conclusion we can draw is that a bronze skinned Christ created bronze skinned humans in his bronze skinned image and likeness. Again, it is only my opinion, but I believe that this is the reason that they don’t want these two books in the same place at the same time. It always points back to the reality of a black savior. If you’re playing a massive game of “Hide The Hebrews”, you certainly don’t want paintings like those in the next section in the mainstream consciousness, you don’t want a book like Enoch in the mainstream consciousness, and you certainly don’t want Maccabees drawing attention to the conspiracy to repaint Biblical people and angels as white. We know that white supremacy is a myth birthed from a sense of inferiority. And nothing will make some Europeans feel more inferior than knowing that Christ chose to be a black man, which means he rejected being a white man. For those that are skeptical of the Bible in General, pointing to the Bible over and over again as evidence doesn’t mean much. They may give some credit to the genealogies, but overall if they don’t believe the book, they want evidence outside of the book. For me, the strongest non Biblical evidence resides in what was painted PRIOR to the European Renaissance before they took it upon themselves to repaint history and turn Hebrews, God, and the angels white. 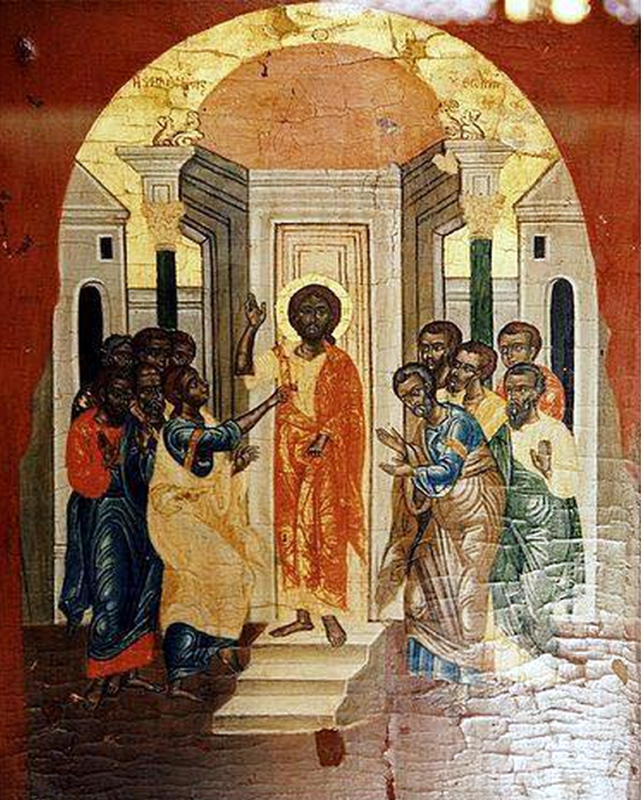 These paintings are hard evidence that prior to the Renaissance Period people KNEW the Hebrews were black people, they KNEW the disciples and Christ were black people, and even depicted God with outstretched black arms. There was no speculation about it. Descriptions and depictions outside of the Bible remain consistent with what we find inside of the Bible. Tacitus was a European (Roman) that testifies to a black Israel. 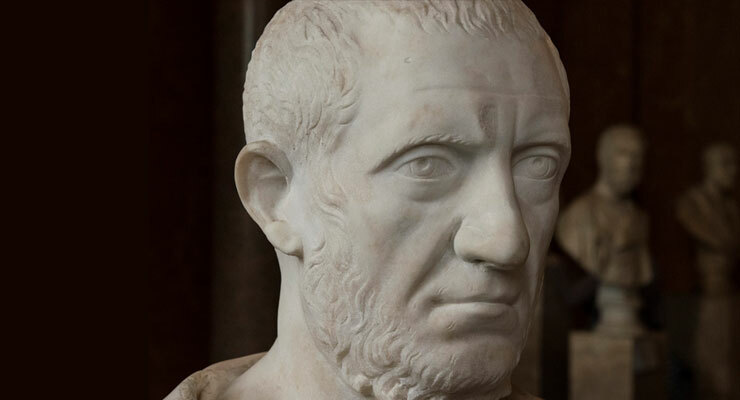 Tacitus lived during the lifetime of Paul and within a couple decades of Christ. We know that Egyptians are black Africans and so are Ethiopians. I’ve never met a single person that has mistaken a European for an Egyptian or Ethiopian. The reason the words of Tacitus are so important is because mainstream history quotes him as a valid reliable source. He is also of a different nationality, which kills any rebuttal that he may be attempting to change the ethnicity of the Hebrews to make them something he can relate to. How Many Witnesses Do We Really Need? It’s rare that both the word and the world agree, but that’s exactly what we find when it comes to what Christ looked like before Europeans decided to repaint history during the Renaissance and into the modern age. This guy didn’t hide in Africa, doesn’t have bronze skin, and in no way represents any description of Christ other than the false teaching of Eurocentric Christian mythology. But if Satan show’s up as a white man claiming to be Christ and showing off miracles, those that don’t know the truth will be deceived… and it will be someone that looks like this guy that will lead Europeans to war against Christ. The reason I went through all of the above evidence is in order to make sure we’re all on the same page as we progress through this study. As more and more people take up this line of research, the harder it becomes to keep people convinced that the people in Israel now are actually Hebrews and that the white depictions of Jesus are accurate. Those that have invested their entire life practicing hate and racism will be devastated when the lie falls apart… and it’s only a matter of time before it falls apart. They will be confused, mad, and ready to fight and kill. Was Christ addressing his disciples as Hebrews or was he addressing them as Christian believers? This matters because if he was addressing them as Hebrews, then that message has racial implications. If he was addressing them as Christian believers, then there will come a time when white Christians will be rounded up in America, and that is something that we just don’t see in scripture. Those of us heavily involved in this field of study are very much aware of the hatred that comes along with simply saying Christ is black. I can’t even begin to imagine the repercussions of offering definitive proof to the masses. But whatever they are, they’ll be huge. Eurocentric Christianity will ALWAYS choose a white lie over a black truth (important). We will NEVER see a conservative Christian film company cast a black man as Christ. We will NEVER hear a conservative Christian pastor point out all of the references to black skin in the Bible. We will NEVER hear a conservative Christian pastor preach a black Christ to a white audience. Many people believe that the version of white Jesus that we’re use to seeing are depictions of Cesare Borgia based on some of the similarities between his personal portrait and some European depictions of white Jesus. However, I don’t believe that is Borgia at all. What we MAY BE LOOKING AT is what Satan set out to do in the first place… be like The Most High. If this was the only indication of Satan’s ambition, we could chalk it up to conspiracy or speculation, but there is another event in the Bible that confirms that this exact thing was and still is within his capability. The “temptation of Christ” was called a temptation for a reason. Satan didn’t come to play games. He came to play for keeps. What’s interesting is the revelation that he was given the power to put people in positions of power if he chose to. Christ didn’t dispute his ability to do so, which indicates that Satan wasn’t lying or over exaggerating his power. How many world leaders in the past have accepted that offer? How many leaders in power now may have accepted that offer? How many mainstream white conservative preachers have accepted that offer? Maybe none… maybe all… maybe a few… the truth is we don’t know and may never know, but there is clearly an agenda to pass off a false white Messiah. Once the Man of Sin is revealed it will be a deception beyond anything we’ve ever imagined. All believers like to believe that they’d be able to easily spot deception, but it might not be that easy. In my book, As The Days of Noah Were, I speculated that the Man of Sin, known as the Antichrist to most, might have ties to “alien” disclosure and the long standing belief that the resurrection of Christ was done with alien technology. For those that are unfamiliar with the topic, the belief that Christ was resurrected with alien technology is a real belief held by some in the UFO community. In fact, the very first time I ever read an in depth explanation of “The Rapture”, it was in a UFO magazine. What I’ve never speculated on in any of my writing until now, is the appearance that he might take. This was information that at the time didn’t seem important enough to look into, but now it seems to make more sense as to why people would follow The Man of Sin, knowing full well he’s coming. So not only would the world be faced with the revelation of the black Hebrew origins of the Bible and a black Christ, but also with a European imposter that looks like the man most of the world believes to be the real Messiah. Deception only works if there is a solid basis for that deception. The words above are a co-sign of what Christ said to the disciples during the Olivet Discourse when they asked about the signs for the end of the age. The coming deception won’t be easily recognizable to many people because the MAJORITY OF CHRISTIANS are white conservatives with no desire to acknowledge the truth about who Christ is, where he came from, or why he came as a black man. They are setting themselves and others up for a major deception. Who Are The Very Elect In Scripture? chosen out, elect, choice, select, sometimes as a subset: of those chosen out by God for the rendering of special service to Him (of the Hebrew race, particular Hebrews, the Messiah, and the Christians). select; by implication, favorite — chosen, elect. to select, choose, also used as a substantive/noun – properly, selected (chosen from, out of), especially as a deeply personal choice – literally “chosen, out of a personal preference (intention). The meaning that we’ve been missing is that the elect refers to the “chosen” or “selected” and not to the called. Let’s look at the following verse first and then I’ll come back to this. The elect are a special group separate from the called. Hebrews were personally chosen by Christ. 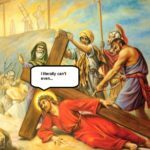 The point seems to be that the false Christ will deceive a huge number of believers, but not Hebrew believers… but why is that? The answer to this may be one that many people don’t want to hear… and it’s one of the many reasons that his skin color does matter. 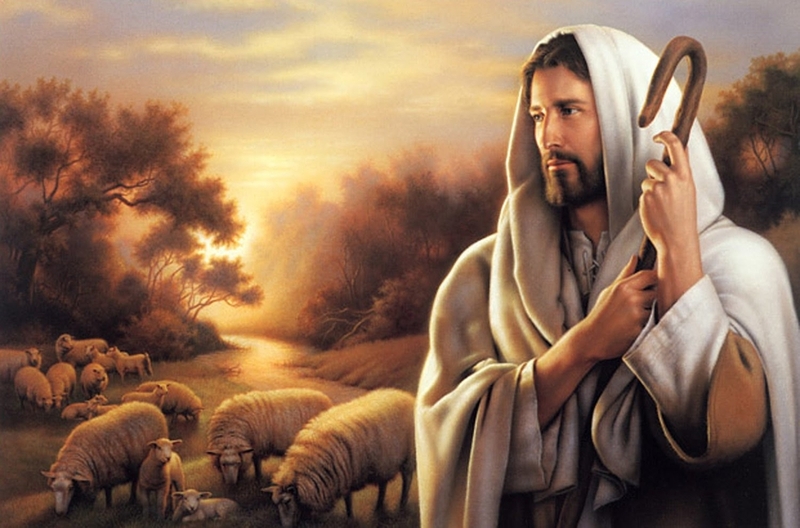 Many white Christians are waiting for a white Christ to return. Many white Christians will be deceived if a white Christ figure comes on the scene. Many white Christians will see the false white Christ (Antichrist) as proof that actual Christ was white. Knowing who is who in the Bible may be the only defense we have against the coming deception, in whatever form it takes. We know that we should expect a fake Christ that will be so convincing that he’ll deceive everyone except the chosen people. This study isn’t about labeling all white believers as good or bad based on race. This study isn’t about saying salvation is connected to race in any way, shape, or form. These are just the cold hard facts of white conservative Christianity vs the cold hard truths of the Bible. Believers of color are more open to looking at the possibility that most of what we thought we knew about the Bible was wrong, but the same can’t be said for the majority of white conservative Christians. 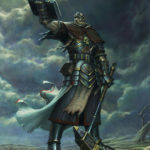 A war is coming between God, Europe, and all that oppose the Messiah. We’re going to cover this and much more in depth as this study is updated. Make sure you like, share, comment, and subscribe so you don’t miss what’s to come (make sure you click the confirmation link in your email or you won’t get the notification). Will conservative Christians accept a black Messiah? 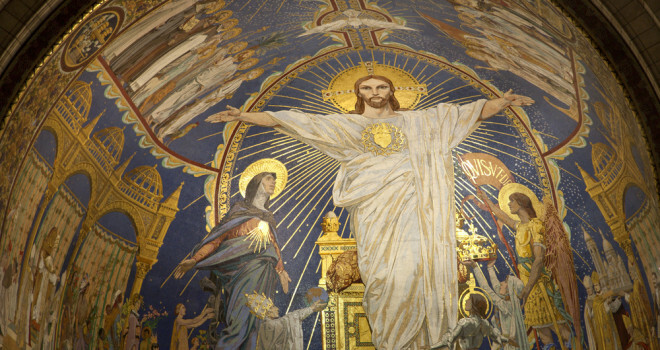 Will the false Christ appear as the commonly depicted version of white Jesus? Why are white conservative so opposed to investigating if Christ was black? 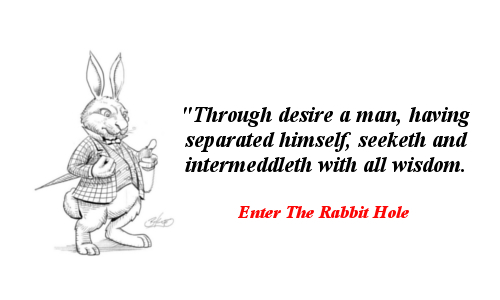 Will some European Christians fail to recognize the true Messiah and follow the false messiah? I was reading Joel and I came across two words that I think you should add to the dictionary. Both of these caterpillars are found in North America. I am not sure if these spices are found anywhere else and Joel speaking of these worms which are found on the other side of the world where Judah will be taken. Not a coincidence. Awesome find. Thanks for that. I’m going to post a study on it soon. Amen to your study. You may already have discovered this, but to add yet another small (worldly) witness to confirm your conclusions even more; there are several ancient maps of Africa that show the migration patterns of the Jews after the time of the destruction of Jerusalem in 70 AD. These maps were created by European cartographers who – like historian Tacitus – had no reason to lie as they were plotting the resources of the land. Notice that the new land where Jews settled was clearly known as the new Kingdom of Judah, which was translated as Whidah (Eng. ), Ouidah (Fr. ), Fida (Portuguese), and then renamed to “The Slave Coast” after it was conquered by the Kingdom of Dahomey. Thanks. I have three of these on the site already, but not the other two. I’ll get links up to them. Thanks again. This article was EXPERTLY DONE !!! You're going ​Hard on them with ​ this Awakening Movement. So Expect and Appreciate the backlash coming at you because that's just confirmation that you are THE MOST HIGH GOD'S. ( Elect) (matt 24:24). It's funny how you were the MAN (john 12:12-13)when you were researching nephillims, ghost etc. but when you dug deeper into the TRUE IMAGE and ETHNICITY of the MESSIYAH- you became an enemy ( matt 10:22) and (john 15:18). At any rate, keep bringing it even though it must be frustrating to research, fact find, fact check , present scriptures, pictures etc.and then write these articles just to have someone post a comment asking " an idiotic question of what race was the MESSIYAH/ CHRIST? Which was basically the entire premise of the article. When that happens – I can picture you saying REALLY??? Well I guess you must be anointed to have the patience of Job to be willing to respond to those comments and/ or questions ( james 5: 11). It's wise to do so because you help clear up both confusion and doubt. 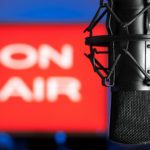 PLEASE – Keep up the Excellent job you're doing for the AWAKENING MOVEMENT and the KINGDOM! !!! Many Blessings and Favor on you and your Family. Thanks for responding and thanks for pointing out the verse reference. It has been fixed. Back when I was doing the nephilim research I noticed quite a few things. They assumed I was a conservative, and acted shocked when I was consistently anti conservative. That’s when the problems started. And you’re right about all of the white “fans” suddenly turning on me when the same research they loved in As The Days of Noah Were was then aimed at the truth about who the Hebrews were and are. A lot of white Christians are hypocrites. They claim to love truth unless of course the truth points to black people being chosen. Then they don’t want truth and truth doesn’t matter. I’m glad the snakes revealed themselves because now I know who is real and who’s just in it to scratch itching ears. How Europeans describe Christ is of zero relevance here. The Bible describes him as bronze skinned with white hair like wool. That means the European child’s vision of red hair is wrong. That also means they didn’t see Christ at all, but something else. Every dream about a spiritual being isn’t Christ and we know that Satan can appear as an angel of light. To trust that a child has the discernment to see through a satanic apparition is not the best way to develop doctrine. Remember, even in Revelation, after his 1,000 year reign the Gentiles (Europeans) rebel against him and the redeemed. The reason is Europeans don’t want to live in a black ruled world where they become the “tail”. The Bible is clear that Europeans will be made last in the kingdom for what they’ve done. God is good, but he is also just and fair, which means those that wronged his people will pay. The descendants of those people that refuse to restore financially what the evils of slavery, segregation, and Jim Crow did to his people… will pay also. There’s no way around this. 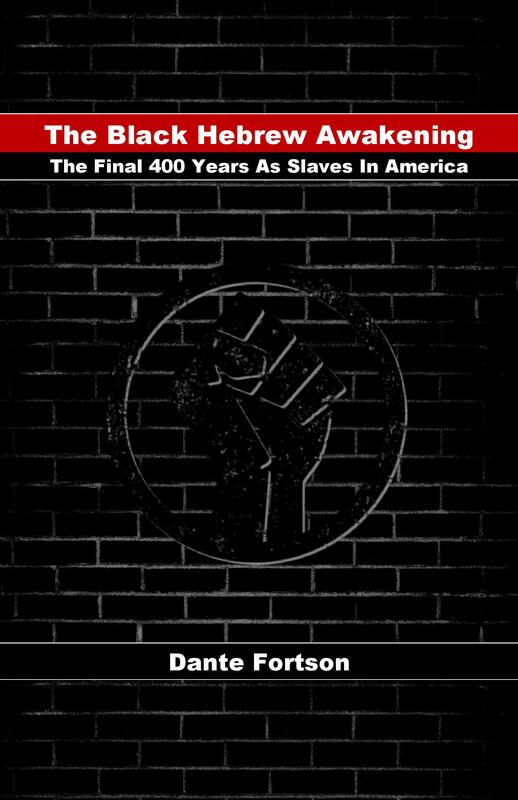 Was it WORLDWIDE slavery? If not, then what the Bible says has nothing to do with them. It is specific to the Hebrews that went into worldwide slavery, and not just slavery in general. It was specific. That’s why everyone claiming that their people were enslaved, have no grounds to add themselves to the prophecies if they don’t fit the specifics. Concise and to the point. I enjoyed your opening up this topic for enlightenment. Everything you presented made sense. A must read for the people of GOD. There’s a passage in the Apocrypha that seems to be a prophecy of the idol (white Jesus) of Christianity. 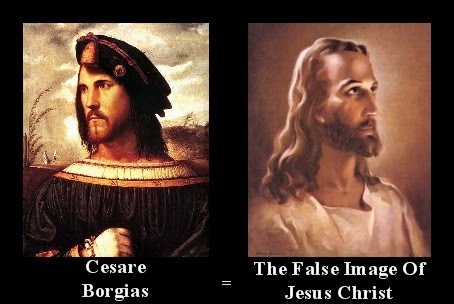 I’ve heard some teachers use this as proof that the images of white Jesus originated with Cesare Borgia. Wisdom of Solomon 14:12-22. A lot is being said in this passage, for example, verse 21 – “And this was an occasion to deceive the world: for men, serving either calamity or tyranny, did ascribe unto stones and stocks the incommunicable name.” Continuing on to the end of the chapter (verse 31), it goes into the hypocrisy of the religious/idol worshiper. Also, it should be noted that the KJVA (King James Version Apocrypha) is worded in 1 Macc 3:47-48 just like you quoted in the article. BUT…I have 2 other different copies that change the wording completely. One says, (verse 48) “And they opened the book of the law to inquire into those matters about which the Gentiles consulted the likeness of their gods.” NRSV with Apocrypha. Another obvious attempt to deceive. Interesting. Thanks for the info. I’m going to look into that probably tonight. Fascinating. Keep up the great work! was Shem a;so coloured i.e. not white skinned? So far the evidence points to that being the case. “Notice that not once does the Bible mention the Hebrew descendants of Shem mixing with the Gentile (European) descendants of Jacob… because it never happens in scripture.” I know you meant Japhet but other people that read this can become confused about Jacob, also those that oppose you will twist your words. Also since you are researching the black presence of the Bible, look into the Ewe(Erverh) people of Ghana and Togo. There is an author named Mawuli from the Ewe that has written books on the same subject you are covering. In one his books he talks about his people having an orally told story called the Notsie Narratives that reads as a line by line account of the Exodus. You might find this info useful if you have not looked him up already. Nice catch. I corrected it. Thanks for that and thanks for the info on the Ewe. I’ll definitely look into it. Absolutely with you on this topic and God has revealed it to me just recently. I wonder do you have a brief of scriptures etc that prove Yashua was dark skinned? I am trying to put together a brief note so that I can share with others teh basic proof? God be with you. Nothing stand alone at the moment, but you can reference what I do have in the study. 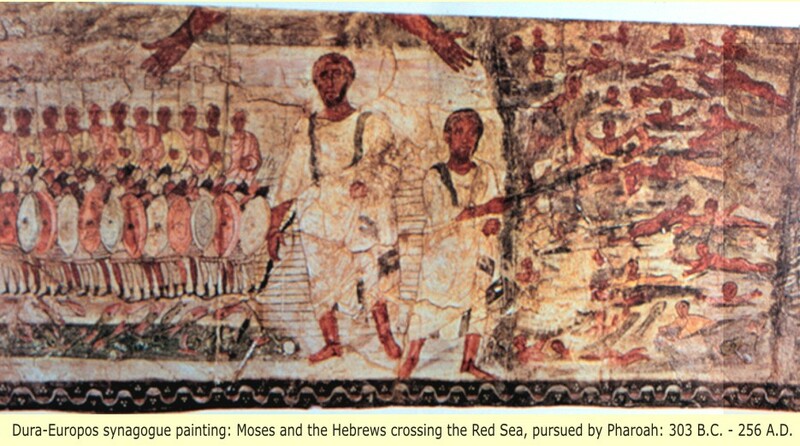 Then how can you asert that the Hebrews were dark skinned if you cant prove it in the scripture? I provided the scriptures in the study that you claim to have read. Do you agree with this or how do you interpret it? I definitely agree… but if you do some more research Abraham lived in Ur, a city of Babel. Babel was founded by Nimrod who was a Cushite descendant of Ham. Abraham then moved to Canaan, who were also descendants of Ham. From there he went to Egypt, where the people are also descendants of Ham. If you continue reading Genesis you’ll see that Abraham, Ishmael, Esau, Judah, Joseph, and many others all married and/or had kids with Hamite women. Then as you go further into scripture, David steals the Canaanite Bathsheba from the Hittie Uriah… both of which are descendants of Ham. David and Bathsheba’s union leads to the birth of Solomon. Of course Solomon has the brief situation with the Queen of Sheba… a descendant of Ham. Shem’s line intermixed with Ham’s line constantly. What we don’t see are Shemites mixing with Gentiles (the descendants of Japheth).